The 39-year-old actress gave birth to another baby girl, named Frankie Barrymore Kopelman, on Tuesday (April 22, 2014) in Los Angeles. 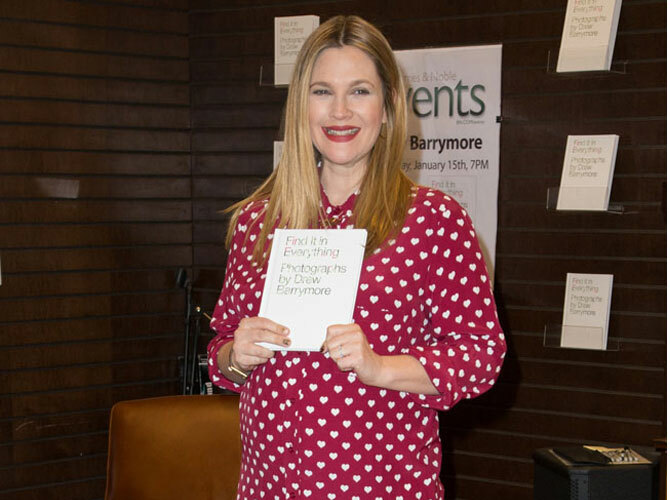 Drew Barrymore and her husband Will Kopelman, 36, also have a 19-month-old daughter named Olive. In a statement to PEOPLE.com, the couple said: "Happy to announce that today we are the proud parents of our second daughter, Frankie Barrymore Kopelman. Olive has a new little sister, and everyone is healthy and happy!" Drew, who confirmed she was expecting another daughter in December, celebrated the impending arrival of her baby at a star-studded baby shower with friends, including Gwyneth Paltrow, Cameron Diaz, and Reese Witherspoon less than two weeks ago. The Charlie's Angels star recently revealed her second pregnancy has been much smoother. She explained: "It is easier because when you're first pregnant you're just terrified of every single thing that's happening, so this time you're busy, you're focusing on the kid, the time goes a little bit faster...not a lot faster, but it helps."